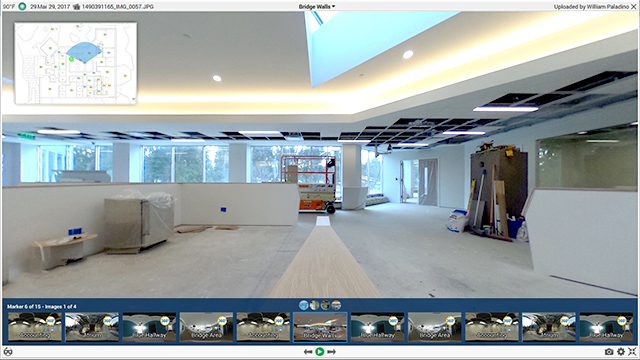 EarthCam's VR Site Tour App is the perfect do-it-yourself solution for documenting interiors, giving you the ability to capture interactive 360° images for a virtual tour of your project within our Control Center 8 software. 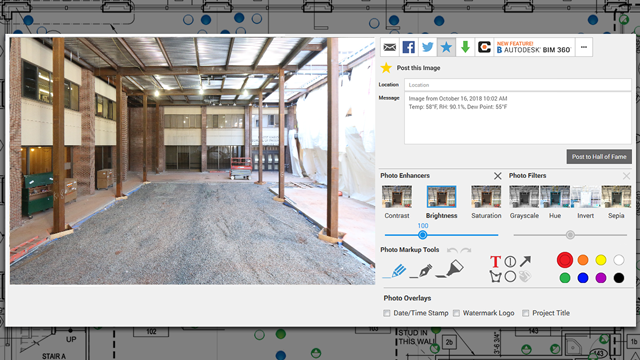 All images are geo-tagged using EarthCam's IPS (Image Positioning System) to properly align photos to your site plan. 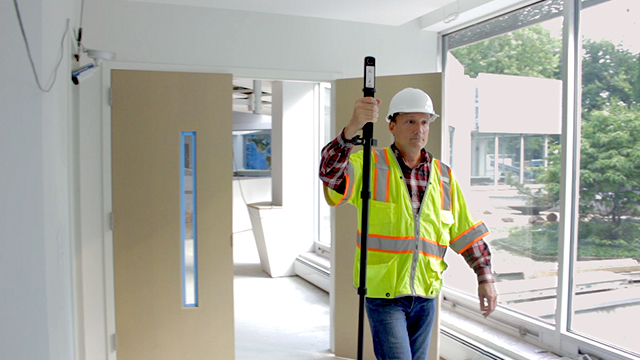 The process is easy for every day VR inspections from your desktop. With our app, you can share jobsite information that is simple to analyze in a cost-efficient way. 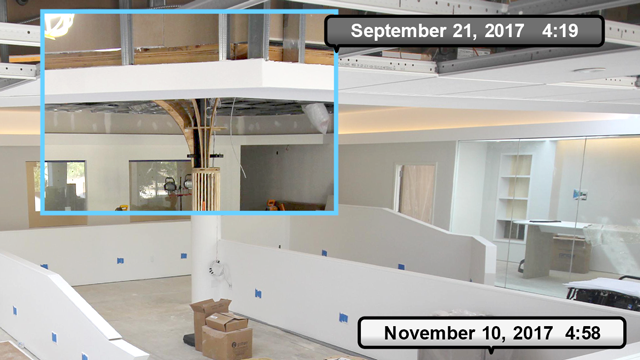 We also partnered and integrated our software with PlanGrid for a unique project management perspective. While other photography solutions require professional photographers and several phases of time-consuming post-production editing, EarthCam has taken 6 processes and reduced it to one simple step with its improved photography interface and mobile app. This do-it-yourself efficient imaging technology eliminates the need for costly photography services and is a smarter way to communicate interior progress. 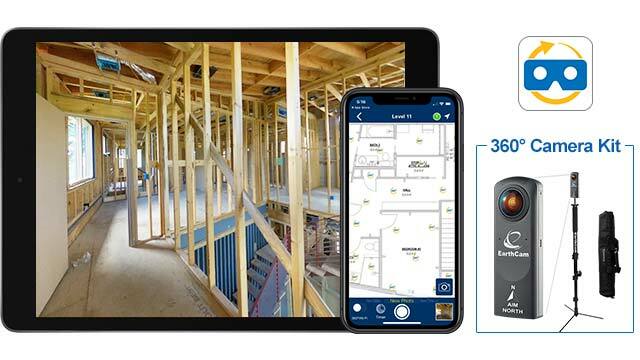 Contact Us or Call toll free: 1-800-327-8422 to integrate Your VR Site Tour with EarthCam's Control Center 8 software and to order your 360° Camera Kit. Once the app is downloaded you can quickly photograph "street view" images. Activate voice dictation or type notes to add with the image to convey progress or detail issues. 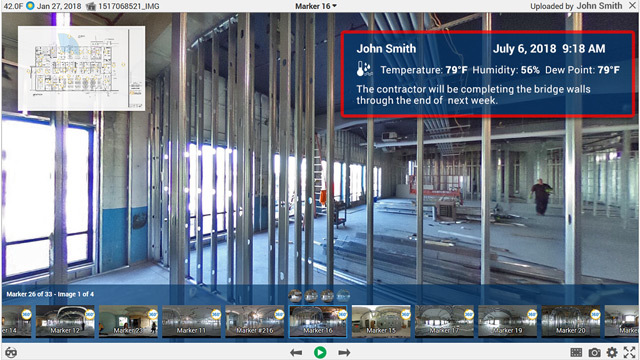 Our fast and easy to use VR Site Tour app is one of your best job site documentation tools. 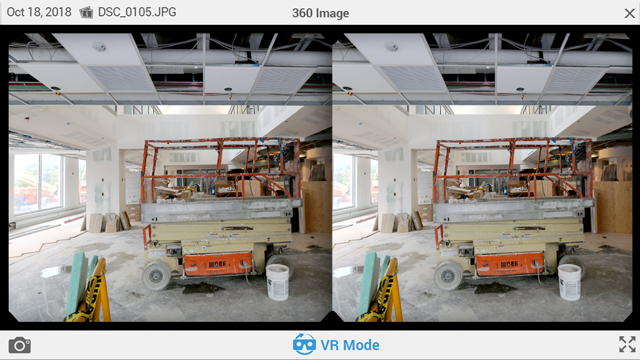 The 360° images are automatically assembled into a guided tour of your project, giving users the ability to remotely explore on their own and inspect each room with a click of a mouse or the tap of an Oculus headset. These detailed visual images create an indisputable record of as-built and pre-existing conditions.